Our much loved vintage cardigan has been redesigned for the new millennium. 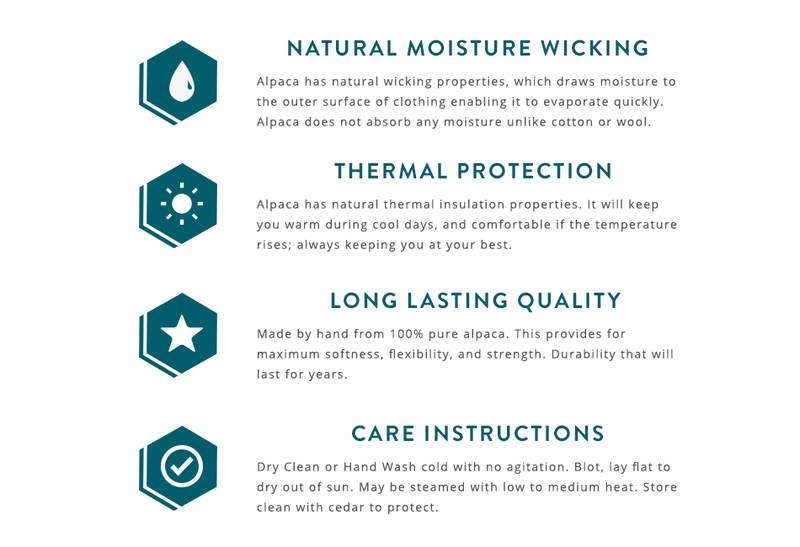 We know how much our clients love their Alpaca Cardigans, however many want a style for their son, and even grandsons, to carry on the tradition of alpaca cardigans. The problem has been younger men want a vintage inspired sweater with a more modern cut. Well, here it is! You don't have to be a professional or even an ad exec, this sweater lets you express yourself no matter what the day calls for. You'll love the breathable warmth found in this cardigan, and not found in acrylic vintage alpaca cardigan want-a-be's...And you'll understand why the characters on Mad Men had to wear them... just like the classic, our sweaters have 100% alpaca content - no wool - no acrylic, just pure alpaca comfort. Vintage inspiration & modern style come together to create this new-millennium cardigan, and you get to wear it any way you want. This style is designed to fit close to the body. Sizes run true. Standard stock sizing for Men is M, L, XL and XXL as available ~ XS, S and XXXL are special order. Please contact us to order. Special orders are not returnable. .